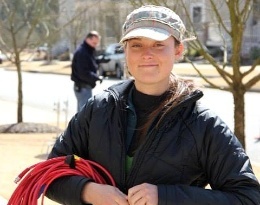 On February 20, 2014, Sarah Jones, a 27 year old camera assistant, was tragically killed when Midnight Rider filmmakers criminally trespassed onto live train tracks and began shooting. They did not tell their crew that they had twice been denied permission by CSX to be on the tracks; they also had no safety meeting beforehand and no medic, nor railroad personnel present on set. “As a camera operator with 25 years experience, I understand that it’s part of my job description to make sure that my crew and I remain safe. I’m not infallible and it’s not a job that is mine alone, but at the end of the day I know that if one of my brothers or sisters doesn’t make it home safely, I’m one of the people who dropped the ball. And I can’t live with that. More than a year has passed since that fateful day and I find myself thinking of Sarah Jones often. The weight of her death hangs on me, not because I knew her but because I see her on set every day. On every set I see her because on every set I see young filmmakers hungry to prove themselves, to make their mark, to climb the ladder and live this crazy dream that we all seem so enamored with. 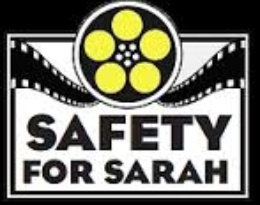 And on every set I know that all the Sarahs look to me and others for guidance, safe in the knowledge that if we are not concerned about a particular issue than it must be OK. But it’s not always OK. So today I have a request. If you are an experienced industry professional, let your co-workers know that you will point out any safety issues you are aware of. Let them know it’s up to all of us to watch out for each other but that you’ll gladly speak up if they are afraid to. Let them know that set safety is portal to portal, because crew members will lose a life falling asleep at the wheel much more often than they will from of a falling piece of equipment. Let them know that what’s most important in our business is that every member of the crew arrives home safely at the end of every day. While it’s everyone’s job to address safety concerns, these individuals may not have the confidence to speak up yet, so it falls on us, the veterans, to do that for them and lead by example. We had role models who watched out for us when our careers were just starting out and now it’s our turn to step up, regardless of where we fall on the call sheet. The simple fact that we have years in the trenches gives us the power and the responsibility to speak loudly, speak clearly, and show others that safety comes first and unsafe set practices will not be tolerated. No one spoke up for Sarah Jones or any of her crew. Someone should have. Starting today, make sure someone does. Director/producer/co-writer Randy Miller pleaded guilty to criminal trespass and involuntary manslaughter and was sentenced to 10 years — two years in jail, eight years probation — plus a $20,000 fine and 360 hours of community service. He also agreed not to serve as director, assistant director or supervisor in charge of safety on any film production for 10 years. Unit production manager Jay Sedrish and first assistant director Hillary Schwartz were convicted of criminal trespass and involuntary manslaughter. Both were released on 10 years probation.